Fly to Marrakech. Transfer to your hotel or Riad for overnight. A full-day tour of Marrakech. Visit the Koutoubia Minaret, the Majorelle Gardens, the Bahia Palace and the Dar Si Said Palace museum of ceramics, jewellery, costume, chests and doors. Travel along the River of Asni into the High Atlas mountains, passing the picturesque village of Asni with good views of Toubkal the highest peak in North Africa. Cross the pass of Tizi n?Test to the holy town of Tin Mal, home of the founder of the Almohad dynasty. 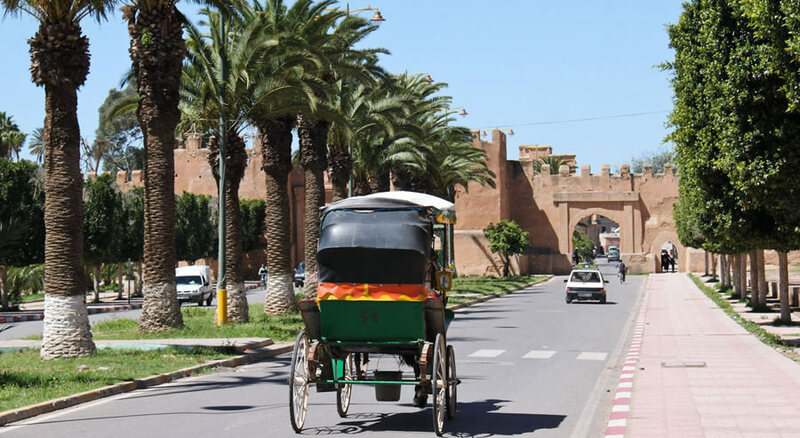 Two nights in the attractive walled Berber town of Taroudant. Visit this city of red ramparts surrounded by gardens, eucalyptus, olive, pomegranate and palm trees, including the market. A short drive to the big palm groves of Tioute and its kasbah in the foothills of the Anti Atlas. 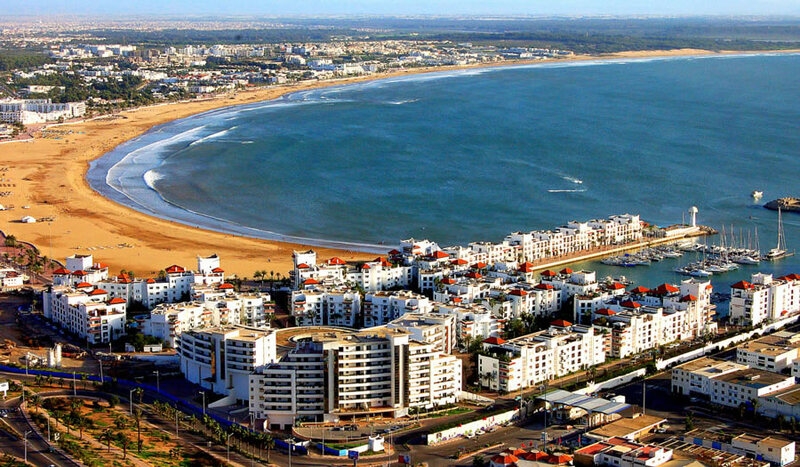 Visit Agadir, Morocco?s premier resort, including its kasbah and port. Enjoy the scenery of the Berber trails with its tree-climbing goats en route to Essaouira for a two-night stay. Morning visit of Essaouira, including the beautiful Portuguese battlement, market, the peaceful medina and the sandy beach. Afternoon at leisure. Return to Marrakech to explore the fascinating and colourful souks of the old medina, visiting the Medersa Ben Youssef, a 14th-century religious teaching establishment. Enjoy a drink overlooking Djemma el-Fna Square. Transfer to airport for the return flight. 7 nights, 8 days. 2 in Marrakech, 2 in Taroudant, 2 in Essaouira. 1 in Marrakech.